Food is one of the important factors that influence holiday satisfaction. When visiting a country, it is important to try the different food they have to offer to ensure a complete holiday experience. If you have a plan to visit Thailand, be sure to try these world-renowned dishes in your dining. The following are the famous Thai dishes that you should try when you visit Phuket, Thailand. This is pride of Thai in terms of food. It is a noodle that is cooked with sprouted beans, tofu and onion. This is also best when it will be served as a meal for your dinner. The final touch of this Phuket food is by adding chili powder, sugar, sauce and ground peanuts to make the taste almost perfect for your taste buds. You can consider this as one of the world’s refreshing soup that Thai could offer you. This soup is combined with coconut milk, chicken, lemon grass and a rare kind of ginger. It is sweet version of tom yam goong. When you try this Phuket it will surely stand out that will make you finish this soup until to it last sip. This is also known as the Chicken Cashew Nuts. Thai loved spicy food that means that you will not be shocked if they are always offering food that is spicy. They enjoy eating their Thai food when there is little pain when eat their food. This dish proves that when cashew nuts and chicken are mixed to each other it will produce delicious Thai food. This is called as the Red Curry. This Phuket food is made with red curry paste, coconut milk and morsels of meat. If you will sprinkle lime leaves that can make this dish to be aromatic that can make your taste buds tingle. It is the best when the meat is tender when served that can be compared to a gorgeous woman who is sweet and fragrant. This Phuket food simply means fried rice. This is one of the most popular Thai foods that you can try when you are staying in their country or eating in a Thai restaurant. This fried rice is made with egg, onion and herbs that can enhance the good taste of this dish. This has also cucumber and limes that make it different from the typical fried rice that you know. Thailand is an amazing place to try delicious food. The country is well known for its delicacies. 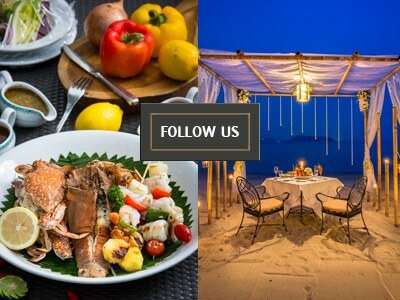 Thus, make the most of your holiday experience in Phuket and make sure you try these dishes before you leave.